Under the new reorganisation process that has been initiated under the leadership of PPP Chairman Bilawal Bhutto-Zardari, five Provincial Coordination Committees were formed as reported in the PILDAT Monthly Monitor on Internal Democracy of Political Parties in Pakistan last month. On July 2, 2016, the Chairman presided over a meeting of all five committees at the Bilawal House in Karachi where he made the decision of interviewing himself all candidates recommended by the committees for various offices in the party.1 PPP Women Wing President Ms. Faryal Talpur, MNA, Mr. Jehangir Badr, Mr. Qamar Zaman Kaira, and Political Secretary to the Chairman Mr. Jameel Soomro attended the meeting among members of all the five Coordination Committees. The five committees presented their progress reports on reorganising their respective party chapters and also discussed the issue of Panama Leaks. The Information Secretary Mr. Kaira briefed the media after the 4-hours long meeting that the five committees have been given deadlines by the Chairman to complete the process of reorganisation. However, it has not been briefed by the party’s media cell nor the party information secretary what exactly has been done so far in the reorganization process and what remains to be done before names of the party office-bearers and their duties can be announced. So far, it is clear that the party constitution is not being brought to use in any way and apparently the office-bearers will not be named through intra-party elections. While the coordination committees are continuing to perform their assigned duties, the party’s KP chapter seems to be unhappy with the current set-up. 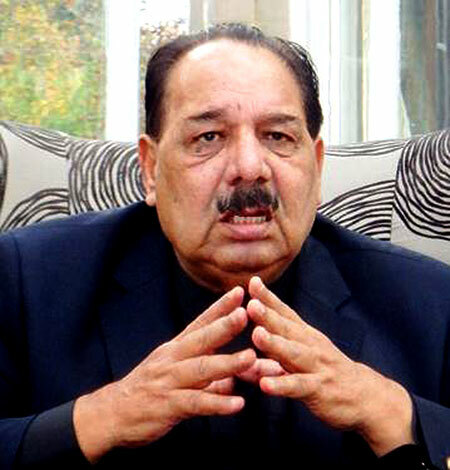 At a press conference held at the Peshawar Press Club on July 18, 2016, former MNA Mr. Tariq Khattak rejected the coordination committee of KP.2 He said that while he accepted all decision of the party Chairman, he would request him to dissolve the coordination committee as it had failed to play any neutral role and accomplish anything tangible within the given time period of three months. He said the coordination committee’s three-month term had ended on July 16, 2016 and it had only been holding meetings with selective people and was not functioning in an impartial manner. Mr. Tariq Khattak insisted that appointment of office-bearers be done through intra-party elections as he wished to contest the election for the office of the provincial president of the party in KP. The spokesperson for Mr. Zardari, Senator Farhatullah Babar said that more changes would be made to the Sindh cabinet besides replacement of the Chief Minister. Syed Qaim Ali Shah tendered his resignation to the Governor of Sindh, Dr. Ishrat-ul-Ibad and accepted by him on July 27, 2016. Maula Bux Chandio, Adviser to the Sindh Chief Minister on Information, told the media that Chairman Bilawal Bhutto-Zardari had decided to bring ‘young leadership’ in the province for its betterment and growth. Keeping in line with the tradition of the party, a major decision such as this came around again without any institutional consultation within the party but by the top party leadership resident outside Pakistan. 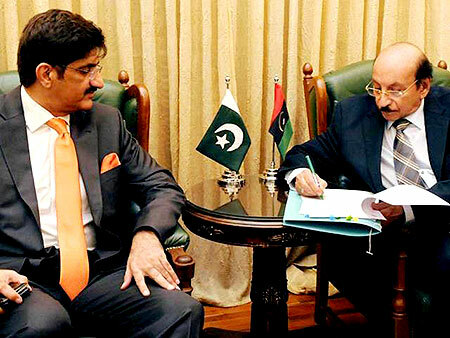 In an official notification issued by the media cell of PPP on July 30, 2016, the President of PPP-P Mr. Asif Ali Zardari appointed PPP-P MNA Syed Naveed Qamar as Parliamentary Leader of the party in the National Assembly of Pakistan.6 This position had been vacant since the death of Makhdoom Amin Fahim in November 2015. 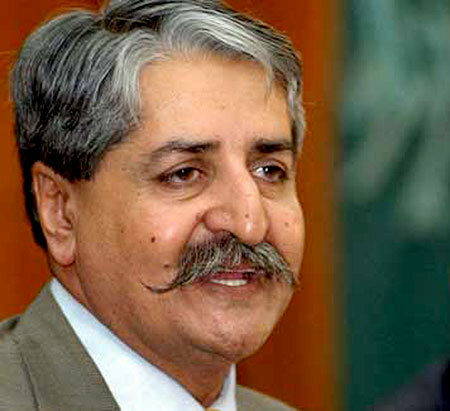 Syed Naveed Qamar is also a member of the party’s Central Executive Committee. The consultation process behind the decision is unknown and most probably would have resulted after a decision of the top party leadership. The Islamabad division of the National Party launched its ‘Political School’ in Islamabad on July 31, 2016.7 This may be a first-of-its-kind initiative taken by a Political Party in Pakistan. The objective behind it is to provide a platform for party workers and members to receive political grooming and become more politically active in the process. Party workers will get to interact with each other and learn from each other ensuring increased democracy within the party. The curriculum and faculty of this ‘Political School’ is perhaps still materialising, however, activities have kicked off in the school by inviting senior politicians to deliver lectures on various political subjects. NP has set a strong precedent in the country by launching such an enterprise. We hope that this school continues to grow and meets its objectives of training and educating the party’s members on political grounds. On July 1, 2016, PTI Secretary General, Mr. Jahangir Khan Tareen issued a notification that notified the appointment of Mr. Saifullah Khan Niazi as the Additional Secretary General and Mr. Murad Saeed as the Deputy Secretary General.8 It stated that these appointments were made in consultation with the PTI Chairman. The roles and responsibilities of these four presidents of Punjab have not been shared, however, it has been reported that their job is to prepare for the next General Election of 2018 and they will discharge their duties under the direct supervision of the Chairman and in consultation with the Secretary General, Mr. Jahangir Khan Tareen. The party constitution, which is frequently ignored in making such decisions, states the terms of reference of the Regional Organisations but not for the Regional Presidents nor for the Additional Secretary General and Deputy Secretary General. 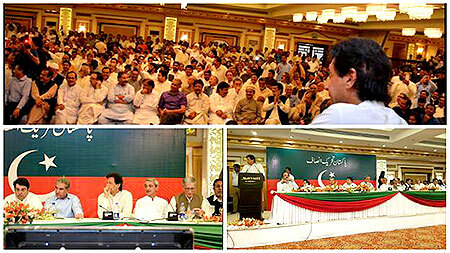 On July 20, 2016, PTI held its 20th National Convention in Islamabad, which was attended by the top leadership of the party along with many supporters, members and workers of the party from around the country. It is unfortunate that specific details of this event were not shared by the party neither on its official website nor any of the official social media pages. Besides other central leaders of the party, PTI Chairman Imran Khan also addressed the workers at the convention. PILDAT obtained the pictures (above) and other details that were shared on Twitter by some of the attendees of the convention. What did surface in the media is a short clip of Mr. Khan giving a ‘polite’ warning to all who were listening and were members of the PTI.10 Chairman Imran Khan iterated that the organisation of the party was under process and intra-party elections would be held after the General Election in 2018. He (politely) warned those who would raise their concerns over names of party members who would be designated with party positions or who would have any disagreement with the party’s various decisions, are free to join any other political party or create their own. In short, the PTI Chairman has openly declared that the party would operate on his terms only and that the subject of negotiation or debate on party’s policy decisions is officially off the table.